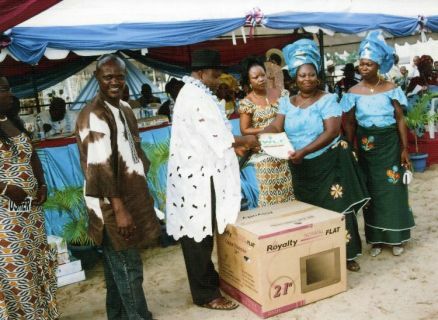 Comrade Evah Presenting bags of rice to women groups that were punctual and dedicated to Ijaw affairs. 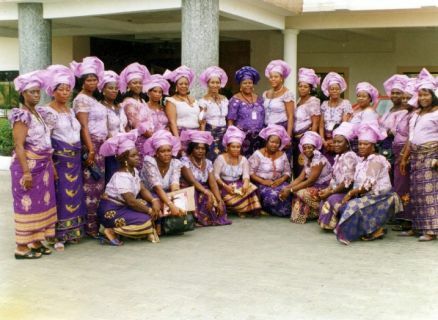 Cross section of Ijaw women leadership forum with former President Olusegun Obasanjo. 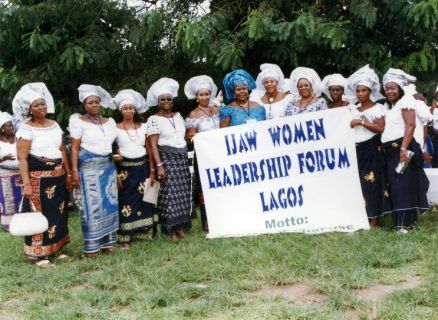 Ijaw Women Leadership forum IWLF First set of EXCOS. 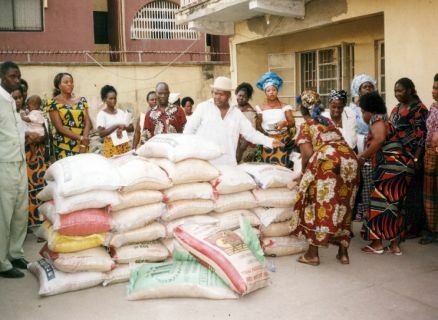 Ijaw Women Leadership Forum members visiting the family of late Colonel Aprezi, ADC to former Head of State Gen.Abudusalam who died in a motor accident. 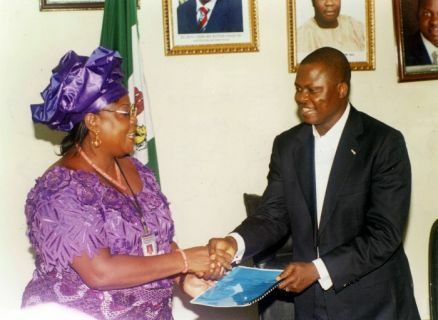 IJaw Women Leadership Forum prayer warrior, Rev. 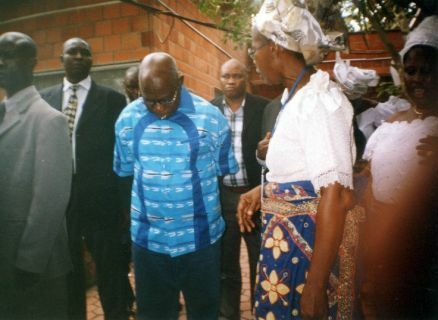 Ekeremore casting out demons from Former Presient Olusegun Obasanjo's body. 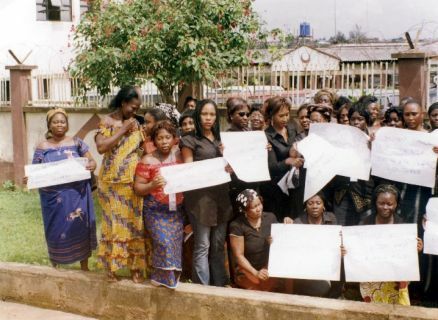 Ijaw Women under the Ijaw Women Leadership Forum protesting the kidnapping of children in the Niger Delta. 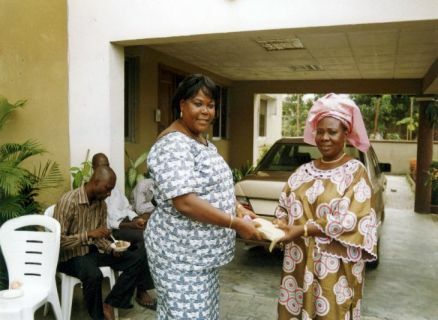 IJWF President Mrs Florence sederu president a Holy Bible to the widow of late Col. Aprezi. 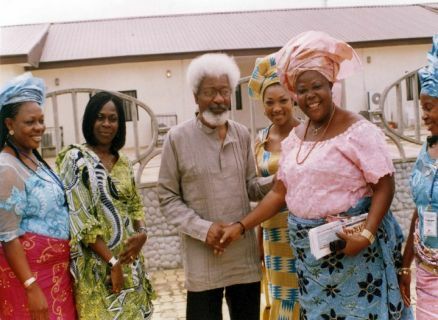 Professor Wole Soyinka Congratulating the Ijaw Women Leadership Forum President Mrs. Sedenu. 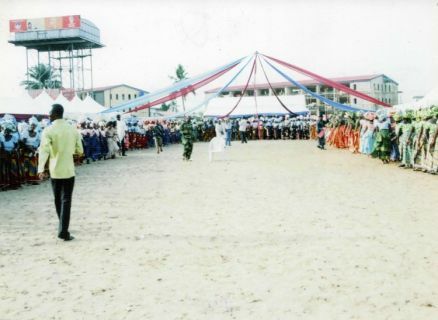 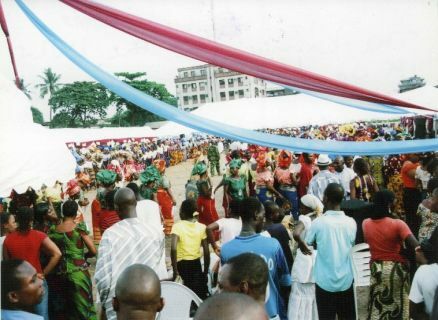 The Carnival of Women Groups at the IWLF 1st year anniversary 2008.